Getting ready to sell your house is a big deal. When the time is right, paying a professional appraiser is a must. However, you probably don’t want to do that in the early stages of preparation. There are ways to know how to calculate the value of your house in Sacramento before you take on the expense of a formal appraisal. Use these tactics to get a fair idea of your home’s value as you prepare to sell. There are great internet resources to assist you with keeping an eye on the housing market in Sacramento. Knowledge of what comparable houses near you are selling for will give you a better idea of what market you’re in, and how to price your house to sell quickly. Here’s one useful site to give you detailed information on Sacramento neighborhoods and their home prices. Determining the price per square foot, or PPSF, of your home is critical to selling successfully. Appraisers, brokers, buyers, and sellers will all want this information. Learning how to determine PPSF accurately will assist you in the selling process, and ultimately save you money in the long run. 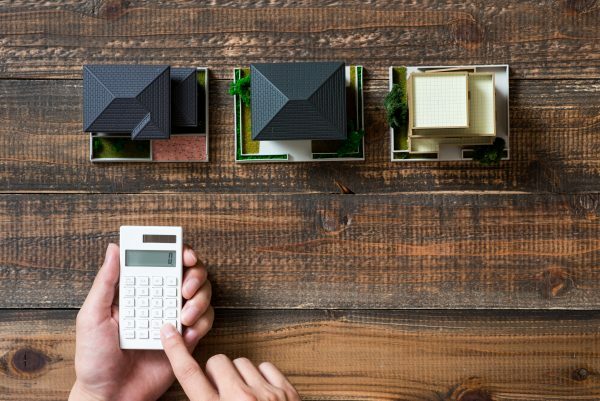 There are critical components to learning how to determine the PPSF, but taking the time to learn them will help you know how to calculate the value of your house. The primary factor used to determine the PPSF is referred to as the 10 percent rule, which states that both the improvements and the square footage of the land must be within 10 percent of those of the subject property being evaluated. To learn more about the 10 percent rule and other key factors in accurately determining the PPSF of your home, click here. Perhaps one of the most difficult pieces of figuring out how to calculate the value of your house in Sacramento is being realistic about its current condition. Your home is a piece of your history; it hold memories, time, and probably even a few upgrades. But have you considered what needs to be repaired? What is outdated and needs remodeling? The good news is, you can be conservative in what you spend money on for repairs. Not all repairs need to be fixed immediately, and you can detail what is done and what you won’t be responsible for in your selling contract. In addition, instead of investing money in upgrades your new buyer may not want, focus your attention on showcasing the potential of your home. Stage some props on a pretty table, point out the landscaping in the yard, or place some vibrant colored fruits and vegetables in the kitchen to help your buyer to envision themselves living there. This gives the buyer the freedom to customize the space to their own liking. Use an objective and creative eye to develop a realistic perspective on what your potential buyers are going to see. Set your price based on your buyer’s perspective, and your knowledge of what a comparable home in your area is valued at. If you calculate your Sacramento home value and realize that fixing it may not be worth the hassle, consider contacting 800-Buy-Kwik for a free cash offer. We buy houses for cash in Sacramento. No repairs, no realtor fees, no hassle. Are Sacramento Cash Buyers Legit?